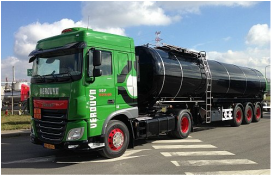 The Dutch haulier Verduyn Group with branches in Hoofddorp and the port of Antwerp, is specialized in transport of bitumen and fuels. In the past, they already worked together with De Putter & Co for the implementation of ISO 9001 and the SQAS Transport Service requirements. In 2015, there was the publication of a considerable adaptation of the SQAS questionnaires. In this context, they cooperated again with the consultants of De Putter & Co. The risk analyses, procedures, work instructions and checklists were substantially adapted. And several new process indicators were added to the safety management system. After an intensive SQAS Transport Service audit, they scored an exceptional 90%.